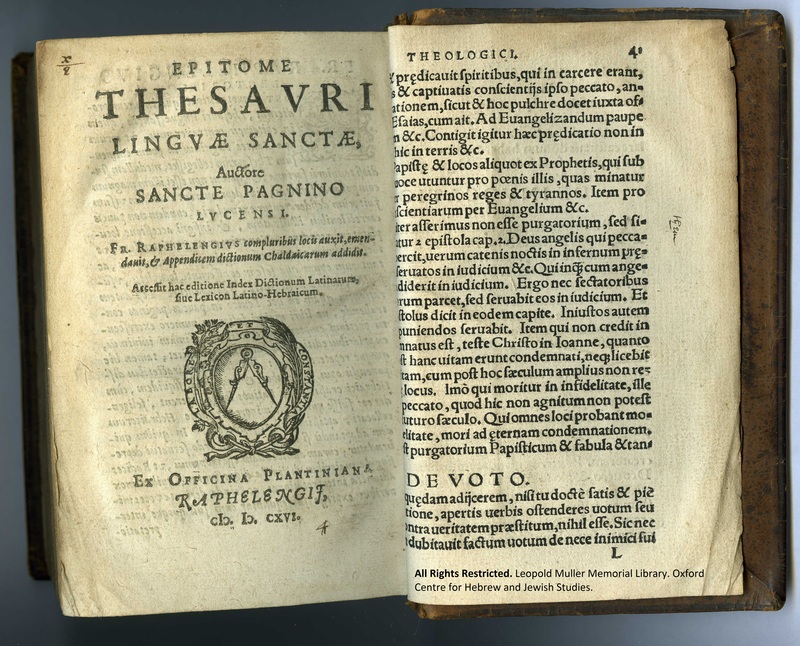 The Epitome thesavri lingvæ sanctæ was previously owned by Copenhagen (see Ex Libris), but prior to his ownership it was held at Ely Cathedral (See Library Stamp). 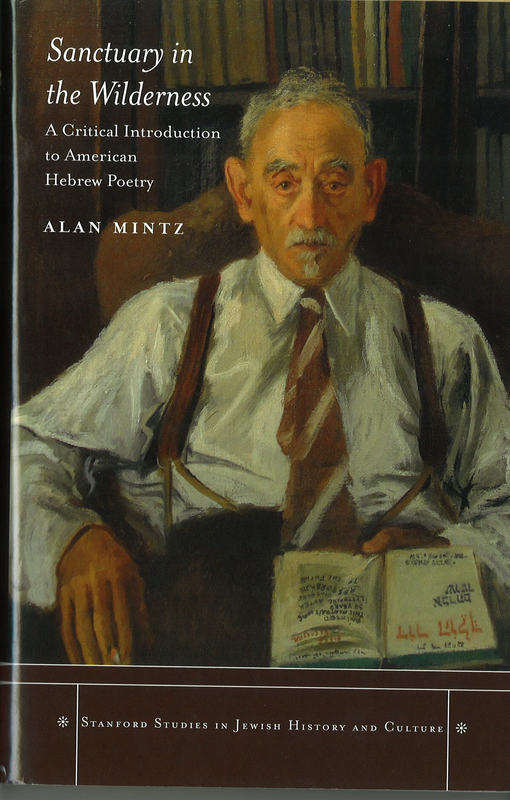 Meanwhile Jane has been cataloguing new acquisitions, and donations including: Alan Mintz, Sanctuary in the Wilderness: A critical Introduction to American Hebrew Poetry (Stanford: Stanford University Press, 2012). This book is on one of the class reading lists for the Hilary Term taught by Dr Adriana Jacobs, who is the new fellow in Modern Hebrew Literature at the Centre http://www.ochjs.ac.uk/2013/07/fellow-in-modern-hebrew-literature-appointed/ To see the rest of the books on her course search ‘Jacobs Reserve’ on SOLO (select Oxford Center for Hebrew and Jewish Studies first). This entry was posted in Acquisitions, Copenhagen Collection, Highlights, Uncategorized and tagged Ely Cathedral, Hebrew language, Hebrew Literature, Jewish Books in Amsterdam, Jewish Studies, Yarnton on 23 October 2013 by zeidlerm.